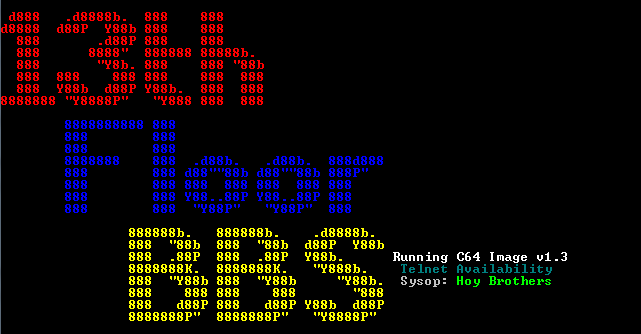 HoyVision Hotline was the name of the BBS BEFORE it changed to “The 13th Floor” in 1988. 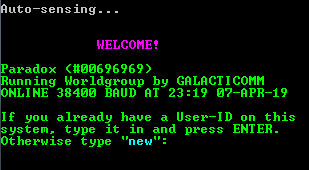 It ran Ivory BBS 2.0 at the time the current “pay” software was C-Net 12.0 by Don Gladden and Ray Kelm, (and Ken Pletzer if you want to be technical, since much of the 10.0 code was used). This was an interim system that I ran while I was waiting on my Lt. Kernal hard drive to arrive, and my license for C-Net to be approved and mailed. This is a recreation of that BBS. Connect to HoyVision Hotline BBS (13th Floor 1987) Now! This BBS is using a non-standard telnet port (6402), the web telnet script may not work.